DIAGNOSTIC FEATURES: Sorediate squamules; podetia with mealy soredia; red pycnidia and apothecia; K+ quick yellow (thamnolic acid); compare with C. cristatella with podetia corticate and squamulose, usnic acid, C. floerkeana which has soredia on patches on podetia, and C. didyma (not reported from Ohio) with a translucent medullary layer, K-. 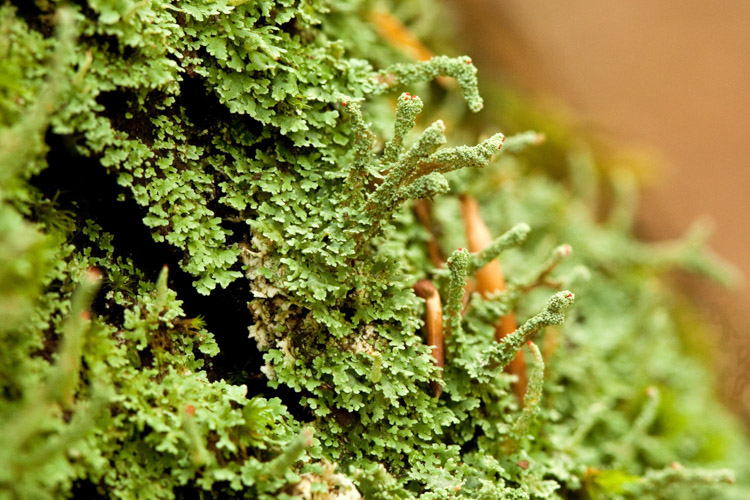 ECOLOGY: This widespread species is common on bark, old wood and soil. ; scattered and fairly common in Ohio.